Some of you may remember the big hype in 1977, when the first Star Wars movie was released and an epic series of movies and memorabilia followed. In 2015 a series of new star wars toys hit the market. With the Force Awakens there is a return of princesses and Jedis, as well as a new generation of swashbuckling heroes, smugglers and shadowy villains. The Disney franchise has a huge supply of fan items and a legion of diehard fans that to this day still attend Star Wars events and conventions. When heroes Luke Skywalker and Han Solo once teamed up to fight the dark forces of evil, kids all over the world began to hold pretend rebellions and mimic the scenes from the movie. With the characters of Princess Leia, Han Solo, Luke Skywalker, R2-D2 and C-3PO, Darth Vader, plus the addition of the heroes, kids can have hours of fun playing. 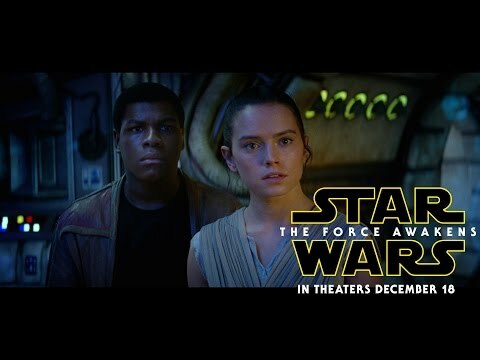 Nowadays the heroes of the new Star Wars movie (Amazon) are called Rey, Finn, Poe Dameron, and BB-8 the smart droid. Of course, every hero needs a villain to fight and no one can forget the fearsome Darth Vader. With the new force awakens toys, the dark warrior Kylo Ren figure (Amazon) is likely to be among the most popular, he commands first order missions with a temper as fiery as his unconventional lightsaber. Besides the Kylo Ren extendable lightsaber, the blaster guns are among the most iconic weapons found in the Star Wars universe. Captain Phasma (Amazon) in his distinctive metallic armor commands the First Order’s legions of troopers. If it comes to cuteness, imagine taking Chewbacca and Furby mashing them together, well you´ll get Star Wars Furbacca (Amazon), the cutest thing among the new star wars toys. It growls, and hums, and is adorable! The Sphero’s BB-8 toy (Amazon) is probably the clear winner of all the Star Wars new toys this year. It is more than just a toy, it´s an app-enabled smart droid that you can control with a smartphone or tablet, it´s even able to record and send holographic images. It seems that BB-8 has a mind of his own and is the most notable droid addition to the Star Wars. Will BB-8 be as beloved as R2D2? Any Star Wars figure collection wouldn’t be complete without the Star Wars The Black Series Yoda, Han Solo and Luke Skywalker figures fighting against the Empire. Legos Millennium Falcon (Amazon) tied to The Force Awakens is sure to be a hit. The new StarWars Millennium Falcon is crammed with lots of updated external features. There is no doubt, the new Star Wars Force Awakens toys and action figures will be among the most wanted toys for kids this season.